Because I enjoyed Helen Hollick’s Sea Witch so much, I’d like to share this link with you–it’s for World Book Night 2013, and we are trying to round up support for Helen’s book, Sea Witch, by nominating it for this event. Take a minute to remember what it was that made you first fall in love with reading: the incredible passion you felt, and still feel, for books, for stories; the excited feeling you still get when you pick up a book that you just can’t wait to read and think about the places it will take you, the people you’ll meet and the joy you’ll get from reading it. Now think about the millions of people who have never been on that journey or who, somewhere along the way, have forgotten how incredible it can be. Think about the power of putting a book in to their hands and saying ‘this one’s amazing, you have to read it’. 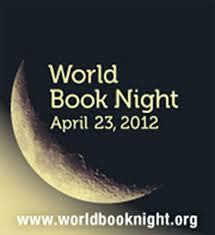 If you loved the book as much as I did, follow the link to http://www.worldbooknight.org and nominate Sea Witch. Oh – how exciting (and flattering!) thank you Andrea. I’m not boasting or going on an ego trip or anything, I’m just stating my faith in my characters! I gladly and excitedly nominated Sea Witch this morning!!!! I gladly and excitedly nominated Sea Witch this morning!! !